This week we’re on an amended schedule due to it being a holiday week in the U.S. We will have Planet Waves FM on Tuesday and your monthly horoscope on Wednesday. Meanwhile, today the Sun enters Sagittarius. This is the sign of mutable fire; it’s light, airy, bouncy and adventurous. The Sagittarians we know and love are likely to have at least a smidge of that energy about them, carrying it like a refreshing breeze. This week we’re on an amended schedule due to it being a holiday week in the U.S. We will have Planet Waves FM on Tuesday and your monthly horoscope on Wednesday. 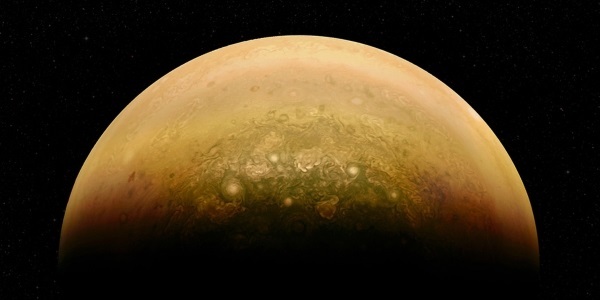 ‘Jupiterrise’, created from a NASA Juno mission photo by NASA et al. Meanwhile, today the Sun enters Sagittarius. This is the sign of mutable fire; it’s light, airy, bouncy and adventurous. To say that this has been an intense journey through Scorpio is an understatement. Sagittarius will help open up your perspective and lead you outside yourself. As the Sun travels through Sagittarius this month, it will contact several points including the Great Attractor, Saturn, Pholus and the Galactic Core. We’ll have coverage on those events as they arise. Thank you very much for being a part of Planet Waves. 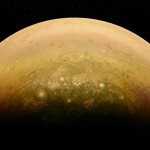 Eric will be back with Planet Waves FM Tuesday evening at the scheduled time. PS — For daily astrology in detail, you can sign up free to our Four Winds Daily Almanac. We often hear from readers how Eric’s interpretations of the current astrology and environment have been the only thing that makes sense in a volatile and uncertain world. 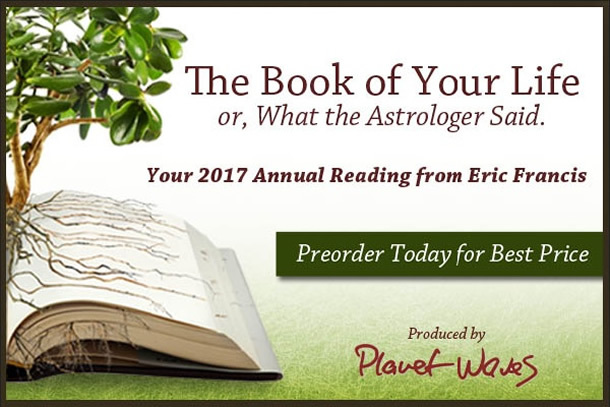 The support of useful guidance is becoming more necessary than ever before, and Eric’s annual readings provide that thoroughly, accurately and in a way that’s easy to follow. If you’ve been inspired and bolstered by our regular horoscopes, you’re going to love these richly informative written readings for all 12 signs. Pre-order your copy today.